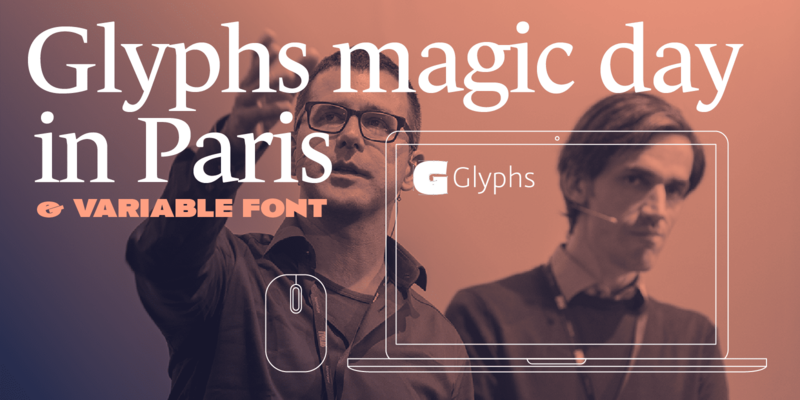 Friday 6 July 2018, for the first time in Paris, Georg Seifert and Rainer Erich Scheichelbauer will conduct a workshop called Glyphs magic day & variable fonts open to everyone interested in typeface design, fonts, technology. This is a joint effort with Glyphs, unrelated to the 5-week summer course and open to every one. Le concepteur de caractères français, et utilisateur de Glyphs au quotidien, Joachim Vu aidera les participants locaux français mal à l’aise avec la langue anglaise tout au long de la journée. Special offer valid until 29th June 2018. After this date, the price increases to €120. Note to French & European: This price is without taxes, more details on the bottom of the next page. Learn how to create professional fonts and variable fonts with Glyphs. Glyphs core team Georg Seifert and Rainer Erich Scheichelbauer will hold a Glyphs magic day at TypeParis. A unique chance for all local type designers to be able to learn all the unique features of their fantastic tool. The French typeface designer, and daily Glyphs user, Joachim Vu will help French local participants feel uncomfortable with the English language throughout the day. You will be taken through a professional font production, variable Font workflow, with ample opportunity for questions and feedback. On the part one, focus will be on designing and producing fonts on Glyphs as well more general topics will be addressed. A very good opportunity to meet the Glyphs core team and share your suggestions, and questions about font design, production. The part two will focus on Variable Font: Multiple Master technology, interpolation, and all the small details who makes the difference. Bring your MacBook with Glyphs 2.5 preinstalled, make sure you updated to the latest beta: Glyphs > Preferences > Updates: enable Cutting Edge Versions and check for updates. – Type designers who use Glyphs as well others font design tools. No level required, from beginners to ultra pro. – It’s in English, mais les francophones sont bienvenus, et seront assistés par Joachim Vu pour une meilleur compréhension des cours en anglais. Bauhaus University graduate Georg Seifert (b. 1978 in Halle an der Saale, Germany) is a type designer and a software developer. 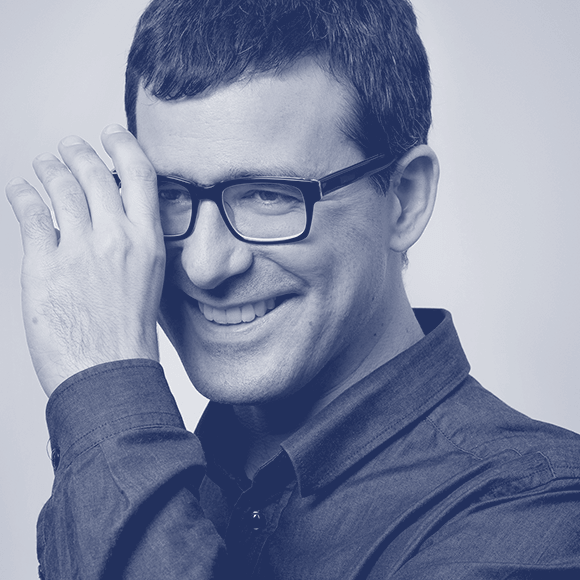 His typeface families Graublau Sans and Graublau Slab have become international bestsellers. He co-developed the typeface for the new Berlin Airport. He is most well known, however, for the font editor Glyphs, first released in 2011. Seifert lives and works in Berlin. Rainer Erich (Eric) Scheichelbauer was born in Vienna, and studied photography, philosophy and Dutch. 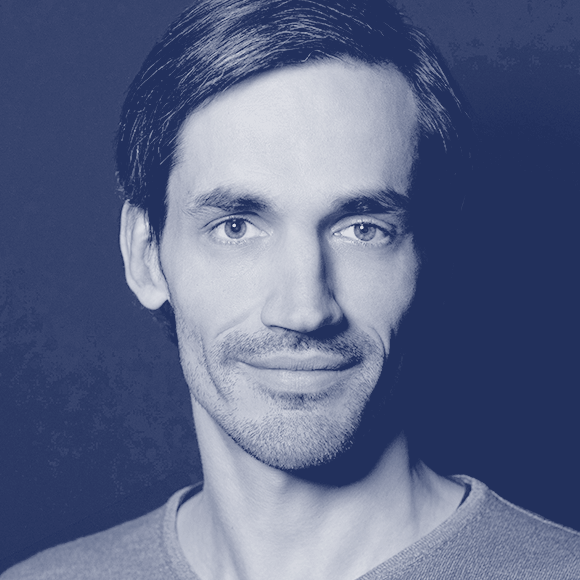 Today, he creates and produces typefaces, teaches type design, gives type design workshops, translates Dutch books on typography into German, and writes articles and Python scripts. Eric joined the Glyphs team in 2012, and has been writing tutorials and the handbook. He recently started his type service office “Schriftlabor” with three other designers in Vienna. After studies in graphic design and years of painting letters on walls, Joachim started drawing type on his free time while working as a web designer. Along the way he had the opportunity do to lettering jobs for various local and international clients and design agencies. 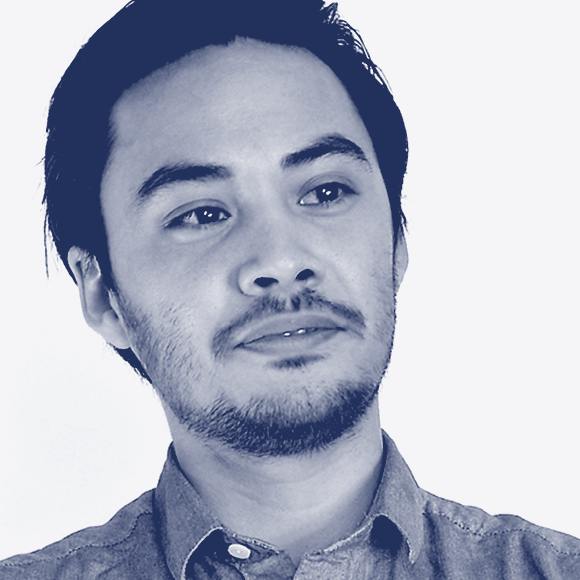 Since 2015, he has developed a real talent to produce many typefaces at Typofonderie, as well Glyphs app specialist.